Before 2007, every Thanksgiving was exactly the same for me: Thanksgiving with Cort’s side for lunch, hang out, my grandma’s house for dinner, end up hanging with our high school/college buddies. We were always running around. We were always too full. We were maybe a wee bit grumpy. In 2007, we decided that maybe keeping things exactly how they always have been wasn’t working. In 2008, while I was pregnant with Eddie, we had Thanksgiving with friends who didn’t have any family around to celebrate with. I made lots of pie. Once Eddie was born, we decided that instead of running all over and getting overly full, we would visit one side and have our big dinner with the other, and switch each year. 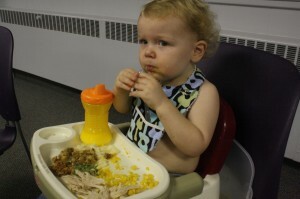 Last year we had Eddie’s first Thanksgiving at Cort’s mom and stepdad’s house. (go ahead and click that link…vintage Eddie is always fun to see). 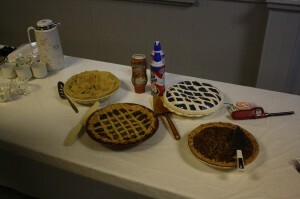 I made lots of pie. This year, we stopped in at Granny and Grampy’s house for cocktails, but we did our mega-meal with my side this year. My Grandma and Grandpa Riemersma have hosted Thanksgiving dinner ever since I can remember, but in recent years, it’s become too much for them to have it at their house, so my aunt has found places for our family to gather the past couple years. This year we were in the basement of a church. what can I do to help, grandma? when we got there, Grandma was in the kitchen getting the coffee ready. 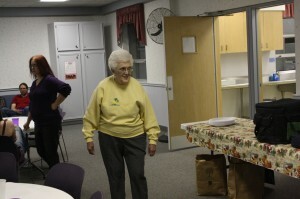 something about her bustling around in a church kitchen reminded me of all the years that she did Lady’s Aid in our church. Everyone brought something–of course. My mom, slick lady that she is, signed me up for green bean casserole. 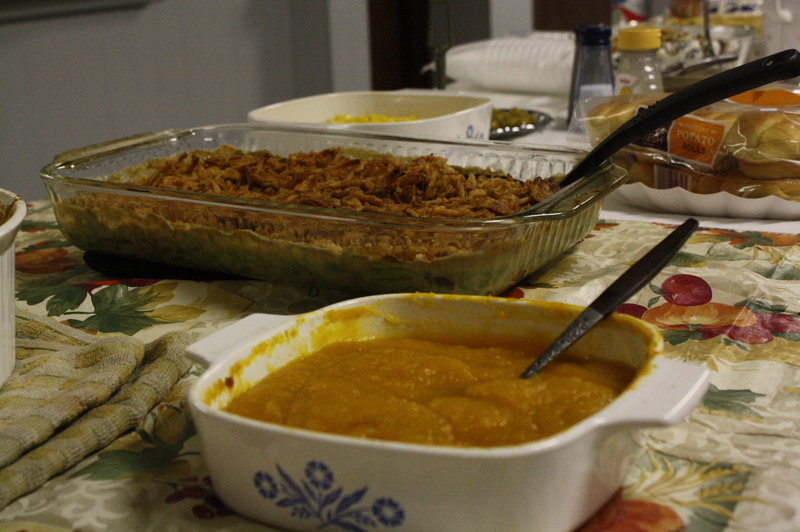 the greenbean casserole was my doing...the squash? never. 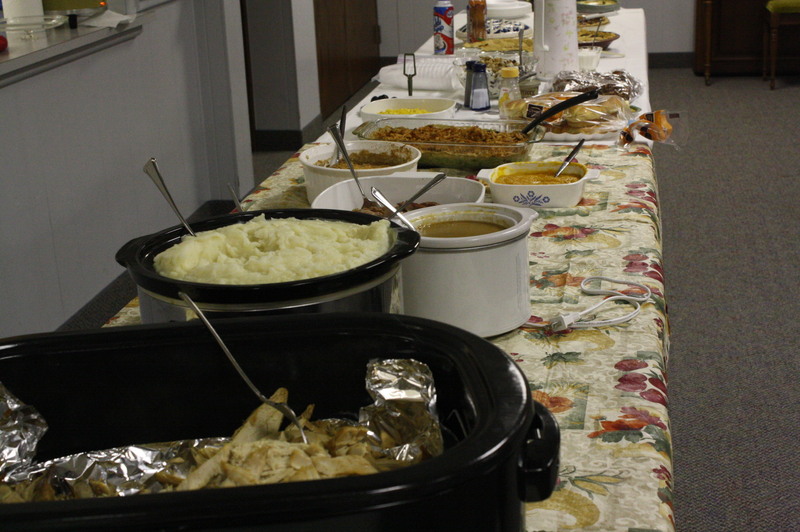 The spread was ALMOST as good as if we were all sitting around Grandpa and Grandma’s dining room table. the spread. and it was good. There were three tables set up for all of us…which was a little sad because it was just like having dinner at my parents’ house since Cort and Eddie and I ate with my parents. I didn’t get to talk to everyone all that much during dinner. Everything was quite scrumptious though no matter where you were sitting. And Eddie? He was a fan of his grandma’s squash. yes, I took his sweater off. it was a cute sweater, but it wouldn't have been post squash. And after all that food? There was of course coffee and dessert. And what kind of dessert do you have on Thanksgiving? I made no pies this year. It was weird. I muddled around the house all day on Wednesday questioning what I should be doing with my day. I mean, why else would schools have Wednesday off if it wasn’t for pie-making? I felt all lost. But I thought for SURE after I had some yummy pumpkin pie, my holiday would feel complete and I wouldn’t be sad about not making pie. and then? wait for it…THERE WAS NO PUMPKIN PIE! Cort and I just looked at each other. No pumpkin pie? Were we dreaming? Was this not really Thanksgiving? We had JUST had the conversation the night before with our friends (who had all decided to NOT have pumpkin pie since it’s not the biggest hit at their family party) that it was just plain weird to not have pumpkin pie. And now here we stood…pumpkin pie-less. sadness washed over the Sluiters. But then? Grandma brought out the traditional Thanksgiving Bingo. Grandma knows how to distract sad Sluiters. 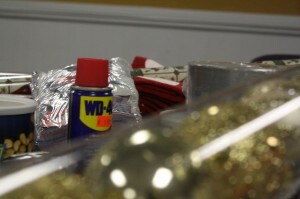 yes, that is WD-40. travel size. There are “prizes” involved in our family game. 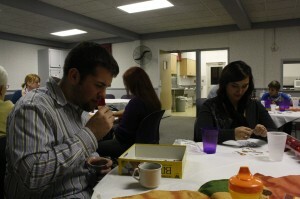 It’s not dirty bingo, so you get what you get or you get nothing if that is how the card rolls. These prizes involve anything from candy, to Christmas decor, to duct tape. This is real competitive stuff, people. 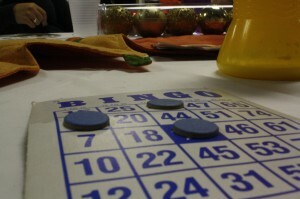 Traditionally, at Grandma and Grandpa’s house, my brother, Chris calls bingo. He has been the Caller for years. I actually can’t remember Thanksgiving before bingo and since bingo started? Chris called. But last year he wasn’t there, so our youngest brother, who has been in training for this office for years. He has faithfully sat next to Chris and learned the technique of Caller. The key, apparently, is to hold the letter/number token close to your mouth–like a microphone–and use your most booming voice possible to announce: B-10!! And since as Caller you can’t win bingo? Grandma always rewards the Caller for a job well-done with a king size butterfinger (this year was Reece’s PB cups since she couldn’t find a king sized butterfinger). 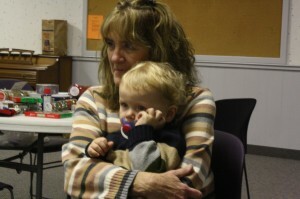 Since Eddie couldn’t play bingo, he monstered around the room until he ended up on Grandma’s lap. By the time we left, it was past Eddie’s bedtime and everyone had such full tummy’s they had to waddle out to their cars with their bingo spoils. All in all, a wonderful Thanksgiving. Next year? We are back to Granny and Grampy’s house. And hopefully I will get to make pie again. And you better BET I will be making a pumpkin pie. This post is linked with Not Super…Just Mom’s Super Sunday Link up of our best day of the week. While I had many great days this week, this is the one I chose to link up! Now hop over to her place and read about some more super days! I love Thanksgivings steeped in tradition. Yours sounds awesome. thanks, my dear. we try not to be too committed to anything, but at the same time we are trying to build traditions for eddie. i think we are finding a nice compromise. I can’t imagine a Thanksgiving without the pumpkin pie! That is too funny. But it looks like a fabulous time. I love the game idea! I KNOW! luckily the next night we went to a friend’s house and someone there had a whole leftover pumpkin pie! hooray! What a great blog! Thanks for sharing it with us. 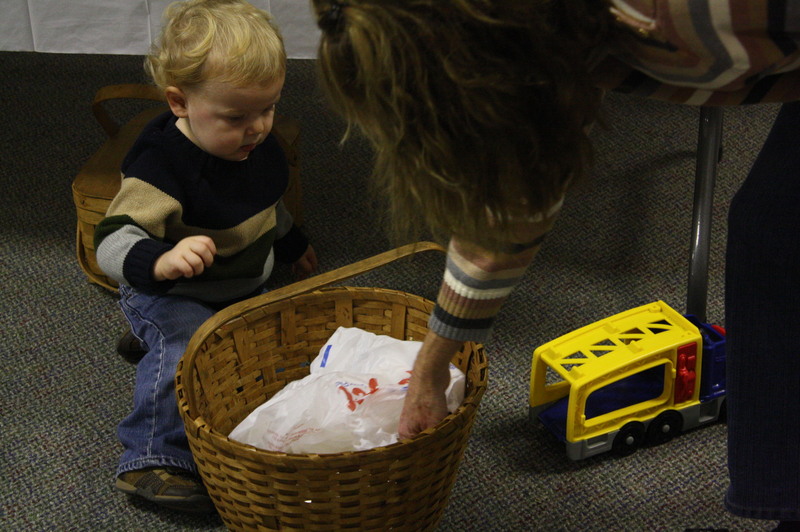 It’s always fun to hear how others celebrate the holidays and learn about their traditions. I didn’t make pie this year either…. I made a gingerbread cake. It was okay. Nothing to write home about. or a blog about? he he…dude. I should have made the pie. I am still saddened about it. next year. thanks for stopping by the ole Nation. don’t be a stranger! Yes, nothing to blog about. Not like my s’mores cake… Did you see my s’mores cake? I thought about you yesterday… My son and I were watching the Back to the Future marathon on VH1. He doesn’t love it as much as you or I, though. #sigh I’m at least trying to raise him right. um. YUM!! yes, I saw that. and yes, we can only do what we can with the small ones…they WILL love it eventually. they don’t have a choice. B2theF forevah!